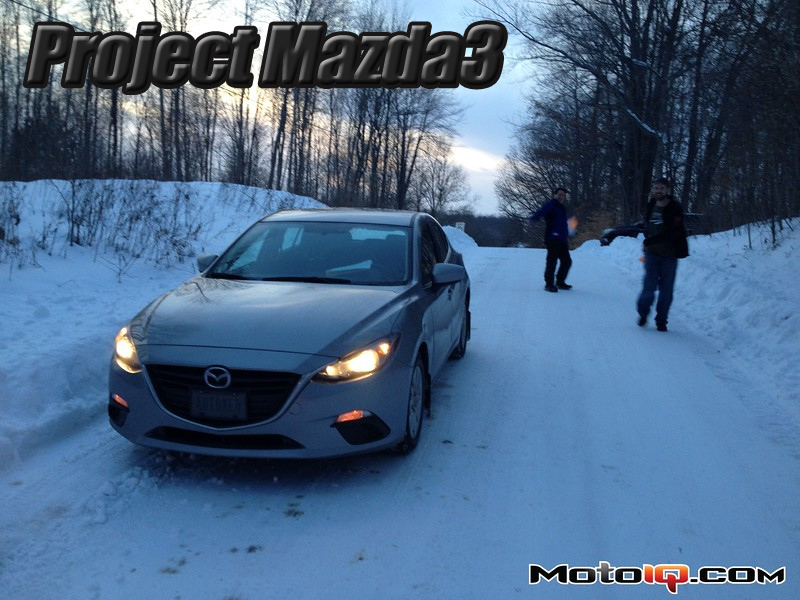 After the revelation in the first installment of this 2014 Mazda3 project that we actually spend two-plus hours a day in this car commuting to work, we’ll blow your mind a little more. We can’t autocross or do track days from November until well into April here in Ohio. The weather is just too cold and wet. That said, contrary to public opinion, there are plenty of car enthusiasts outside Southern California and we find our own ways to have fun during the winter months. Tires are typically a first step in a helping a project car perform better, as they make the biggest and most immediate difference in how a car handles. That holds true no matter what the weather is like. Performance tires are typically promoted on the basis of their lack of void area or grooves in their tread designs, as well as their ability to grip track surfaces even at elevated temperatures. 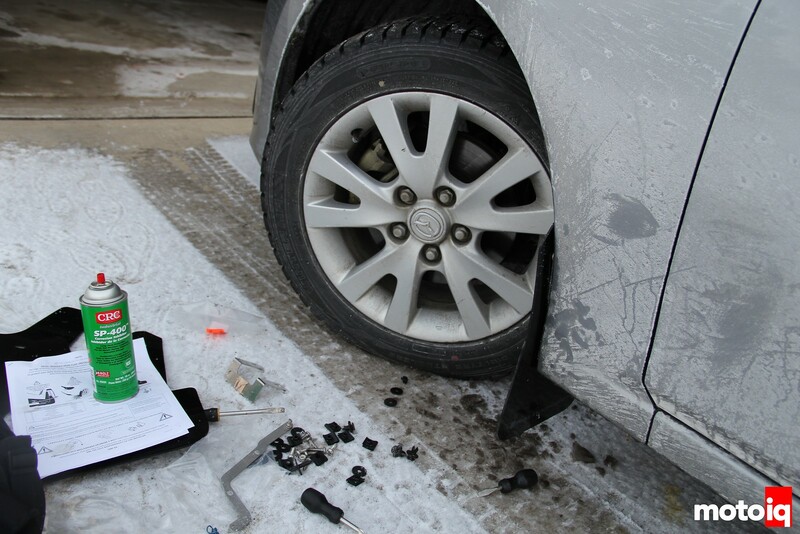 With a commuter car in the Midwest, we’re looking for almost exactly the opposite of that for our winter tires. 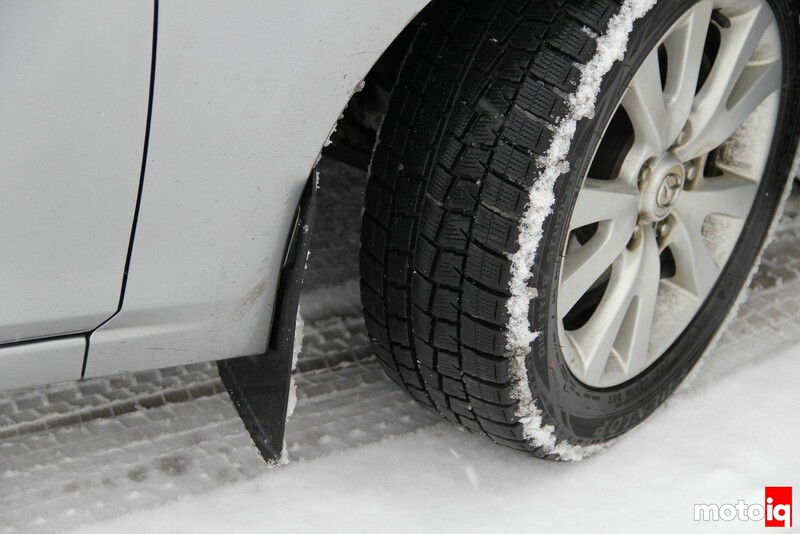 Void area, special compounds and aggressive tread patterns are all part of making a good snow tire. We found a set of OE Mazda3 wheels cheap from a fellow autocrosser and mounted a set of Dunlop’s WinterMaxx tires from TireRack for $94 a piece. The WinterMaxx, like most modern snow-friendly tires are happiest when the weather is at its worst. Luckily(! ), Cleveland has delivered this season. We’ve had a number of pretty treacherous commutes with the snow tires and have come away impressed with these relatively inexpensive tires. We’ve yet to get stuck and we’ve found that the combination of good snow tires plus a stable front-wheel drive platform is much more capable than anything on all-season tires. A few trips to and from work during the start of the winter season left our nearly-new Mazda looking like it just finished a rallycross. The mud and salt-streaked flanks made us understand why daily drivers become so corroded up here in the RustBelt. Sure, we could find a set of the original accessory mudflaps for the car (or the Chinese knockoffs we can find on eBay) but judging by how some of the other Mazda3s look after a few years in this high-salt environment, we needed a more drastic solution. 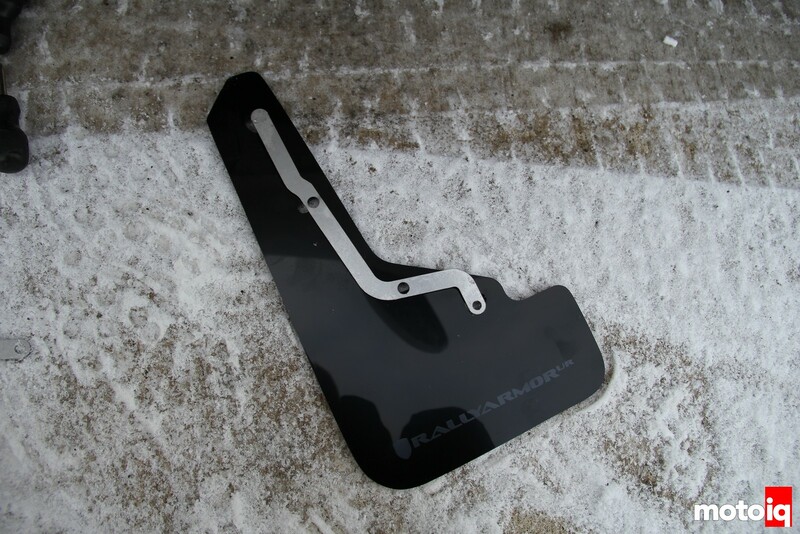 Rally Armor uses stainless steel hardware, including custom brackets to make the installation painless. It's not the cleanest work area, but our garage was even worse when we tried to install the mudflaps—frozen snow is way better than melted salt-slush as a work surface.